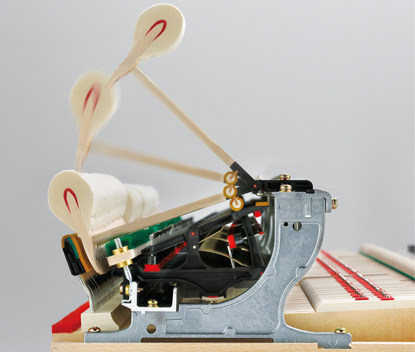 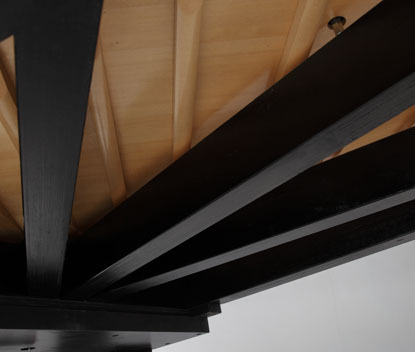 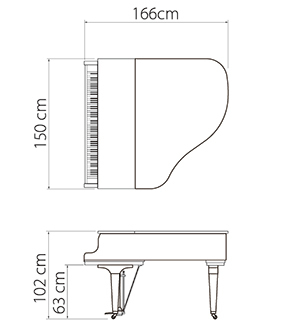 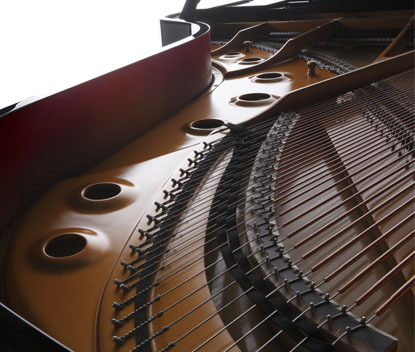 The plate is the acoustically-neutral iron superstructure of the piano over which the strings are tensioned. 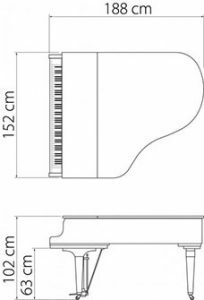 All GL Series plates are molded using the Vacuum Mold Process (V-Pro) with “Crossbone Design.” The result is a plate that is strong, stable and beautiful. 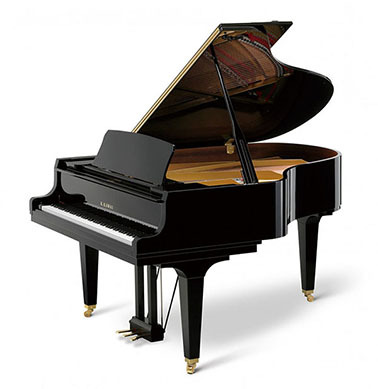 A favorite among educators, the GL-50 is a versatile instrument that adapts easily to the musical demands of classrooms, studios and smaller performance venues. 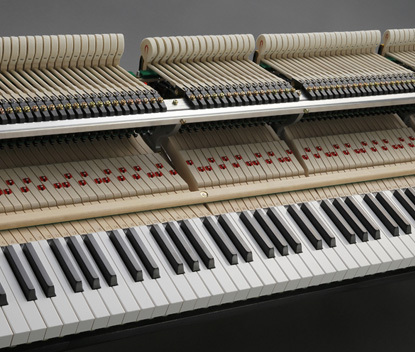 Designed in our most popular “classic grand” size, the GL-40 is longer than many pianos in its class to provide greater bass resonance and enhanced tonal presence. 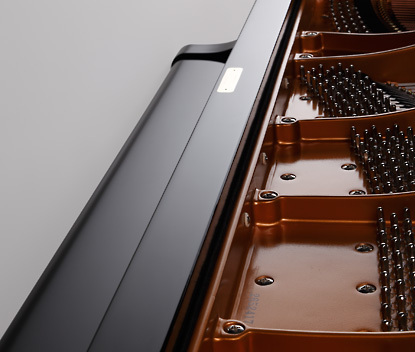 The GL-30 produces the same rich, full-bodied tonal character of a larger classic grand in a flexible size that will grace any home or studio environment. 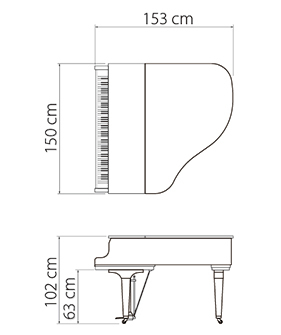 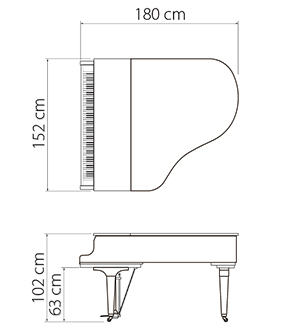 The GL-10 offers the same careful attention to detail and quality found in our larger pianos—with a classic “baby grand” profile that will adapt to most any room.